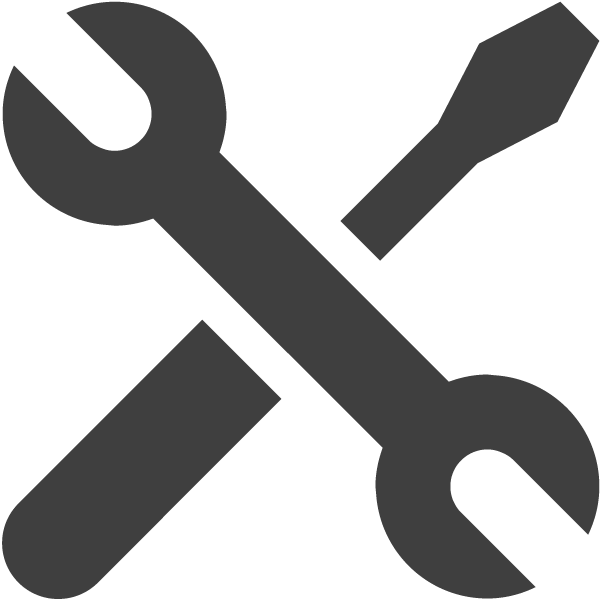 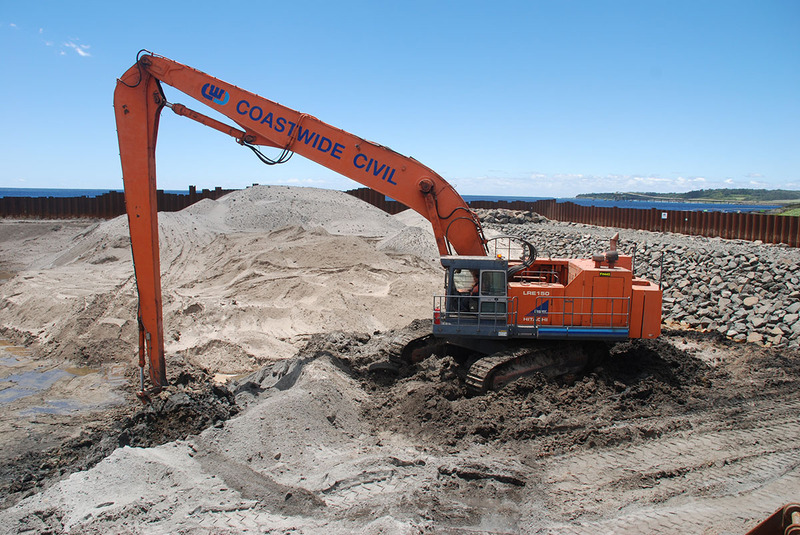 View Coastwide Civil's range of services. 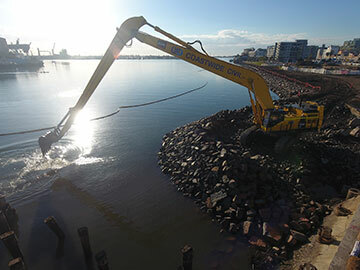 Coastwide Civil have an experienced and dedicated team of engineers, managers and support staff, together they have proven their capability in successfully delivering their projects from tendering through to completion. 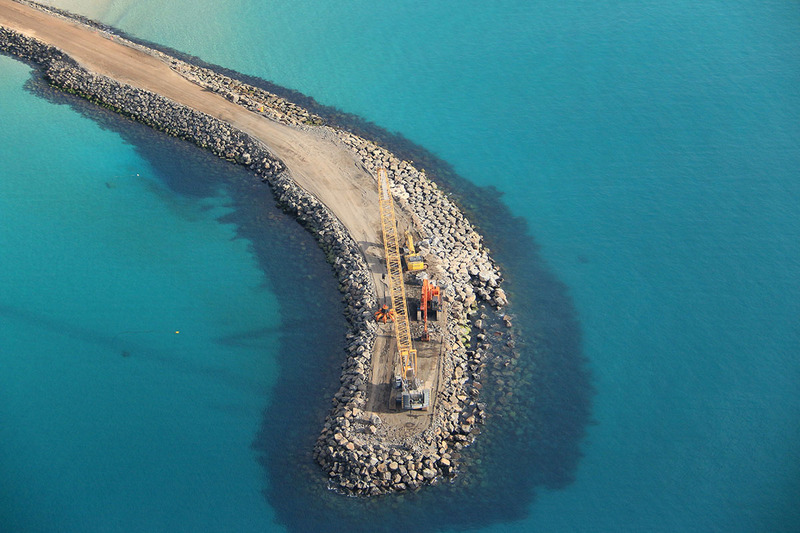 Coastwide Civil is renowned industry-wide for setting the highest standard in marine infrastructure works. 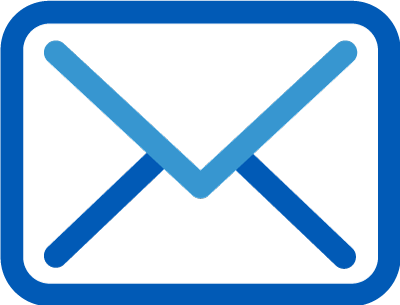 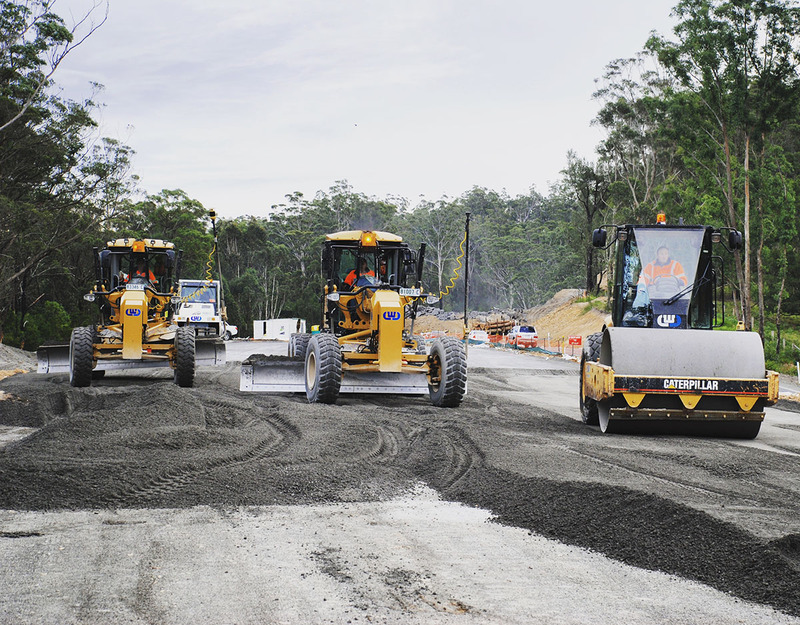 They have established a reputation for their practical and safe work ethic, and proactive attitude working Australia-wide. 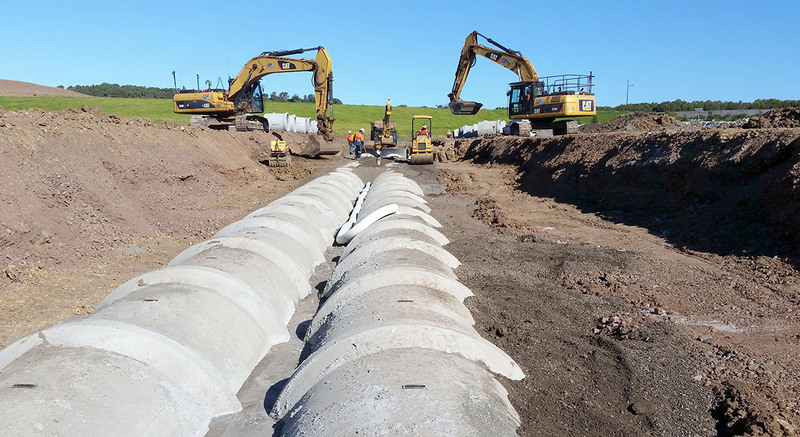 Coastwide Civil have extensive resources and expertise to complete any project from minor road and car park construction, to larger scale road and infrastructure projects. 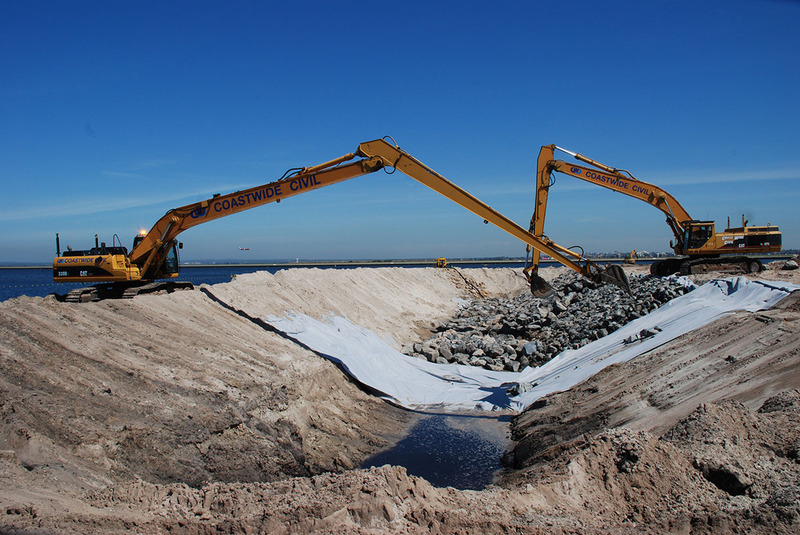 Coastwide Civil operates an extensive fleet of excavators, dozers, dump trucks, graders and more. 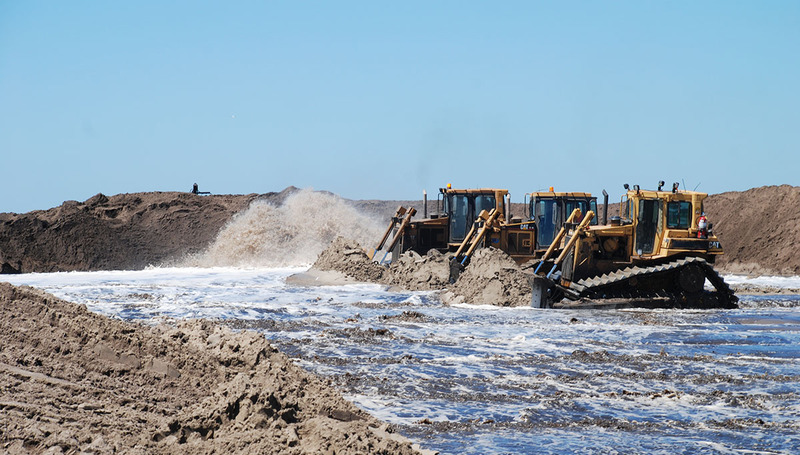 In addition, they have a fleet of rock crushers, screens and rotary trommels to crush and size a wide variety of products. 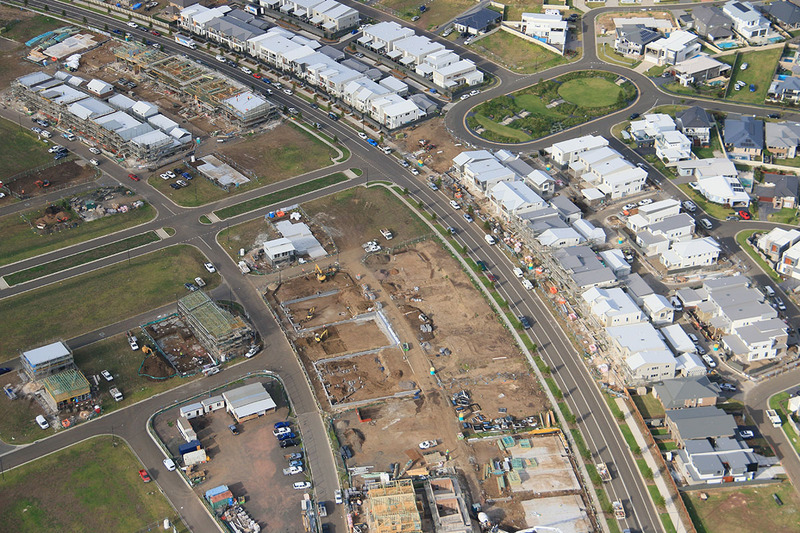 Coastwide Civil have worked on a variety of residential subdivision projects. 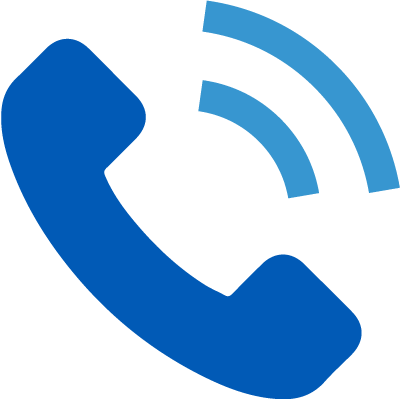 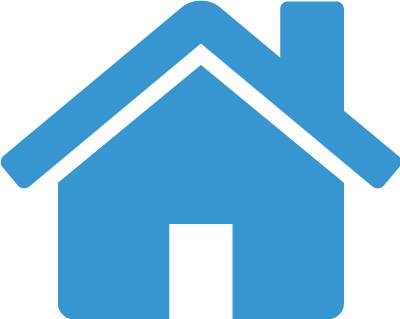 Their experienced and dedicated team of staff utilise modern technology and equipment ensuring each project comes in on time and with in budget. 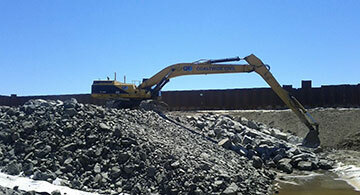 Coastwide Civil offers a range of rock processing services which include mobile crushing and screening plant. 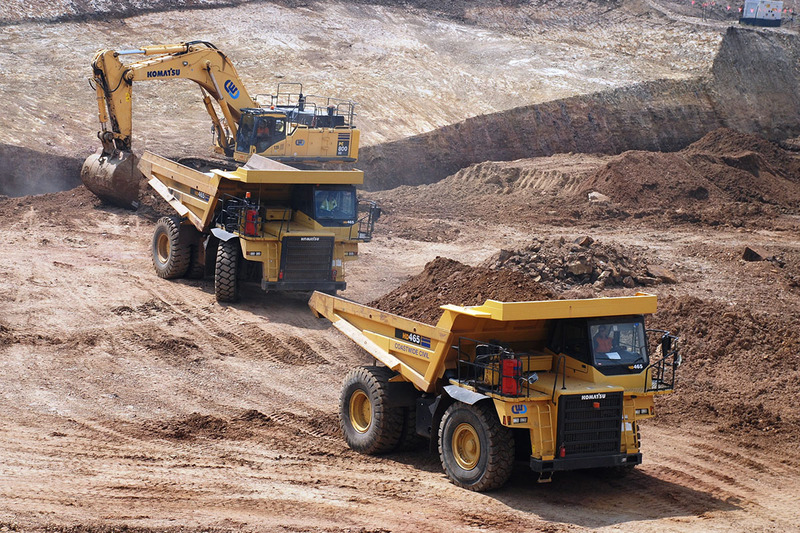 In addition, they have a fleet of trommels, screens and jaw crusher equipment and offer a complete rock processing service. 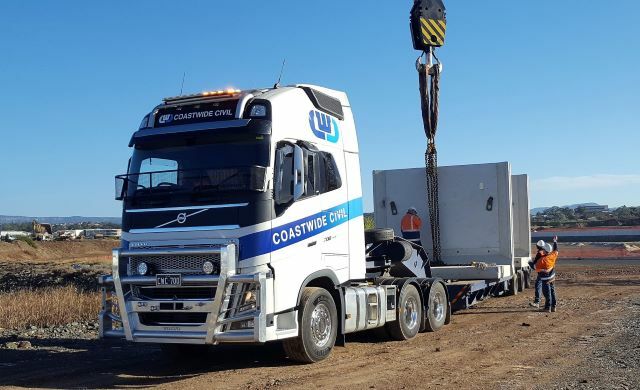 Coastwide Civil operates a fleet of prime movers, bogie tippers, including truck and dogs. 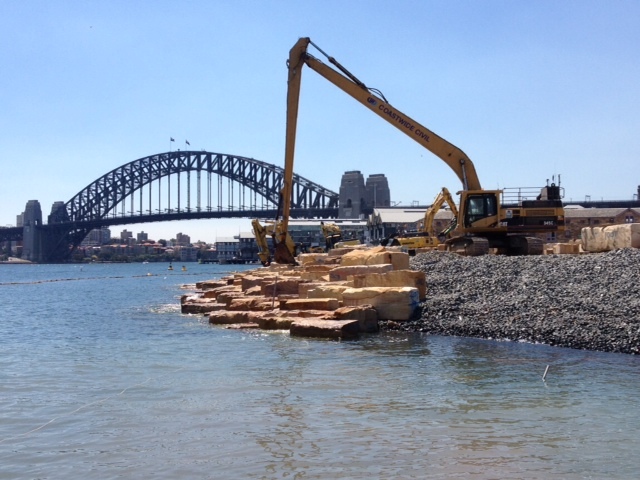 This allows them to mobilise plant or quarry products at a moments notice. 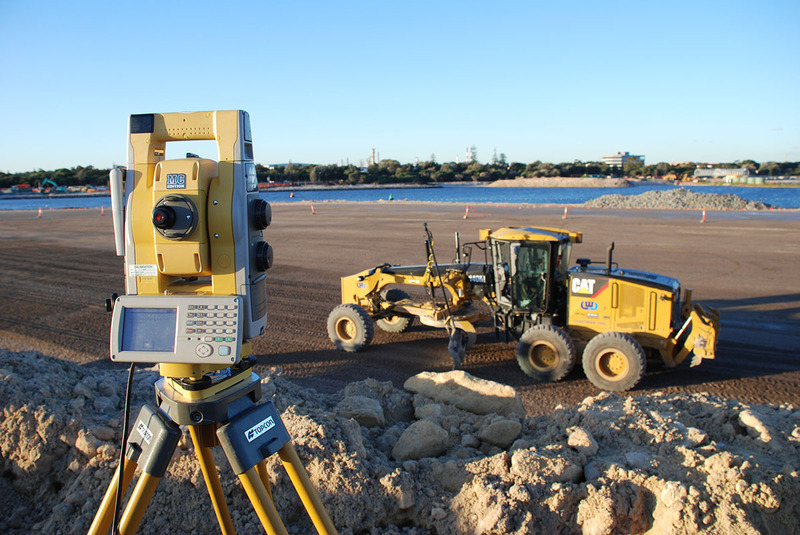 Coastwide Civil have always been at the forefront of technology, with their fleet of excavators, graders and dozers equipped with the latest GPS systems, along with sonar technology for underwater works. 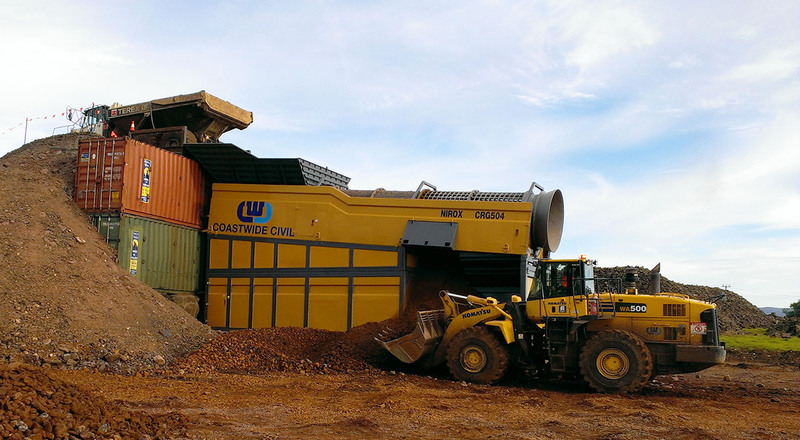 Coastwide Civil has an extensive range of plant and equipment, including earthmoving equipment, heavy haulage vehicles and rock processing plant. 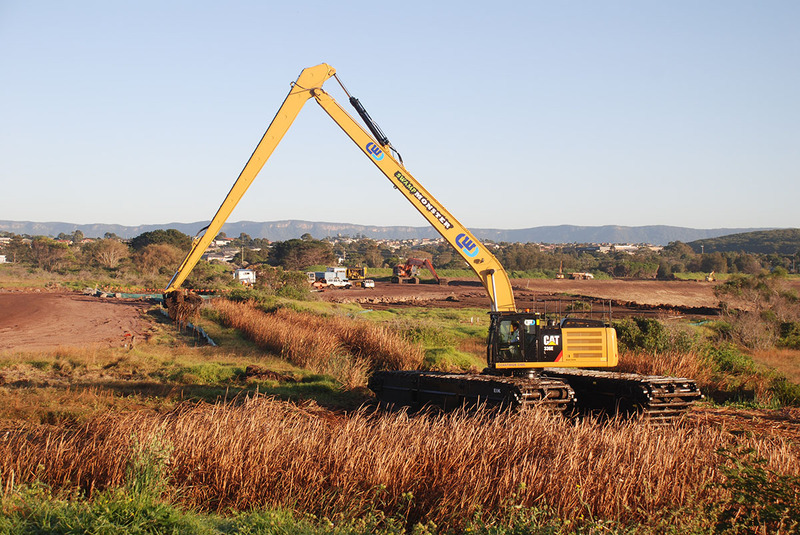 Coastwide Civil's range of long reach excavators are available for wet hire.